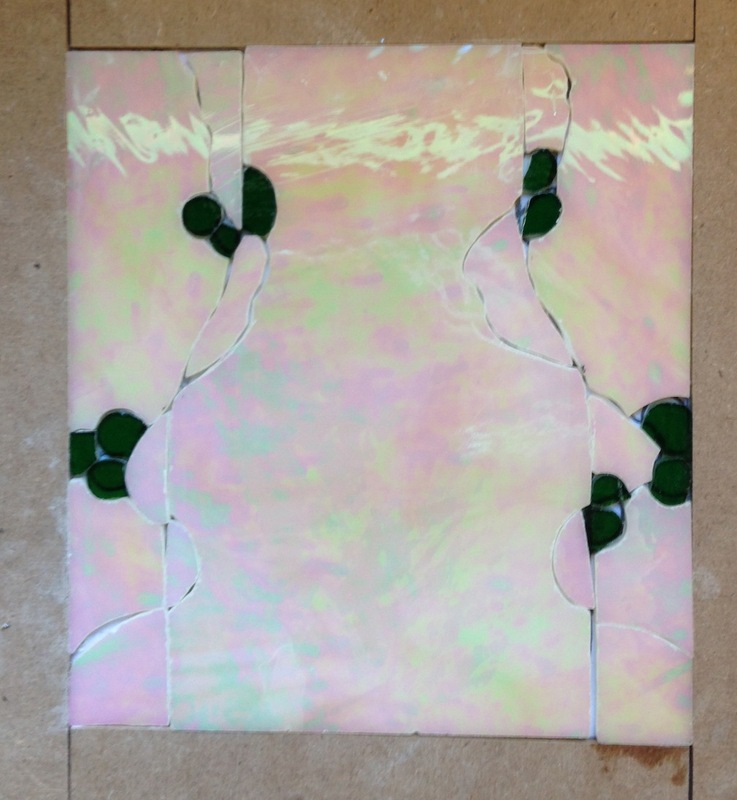 I cut up the pieces for the sconce glass today. I’m unsure about my glass selection, and how this is going to come out. 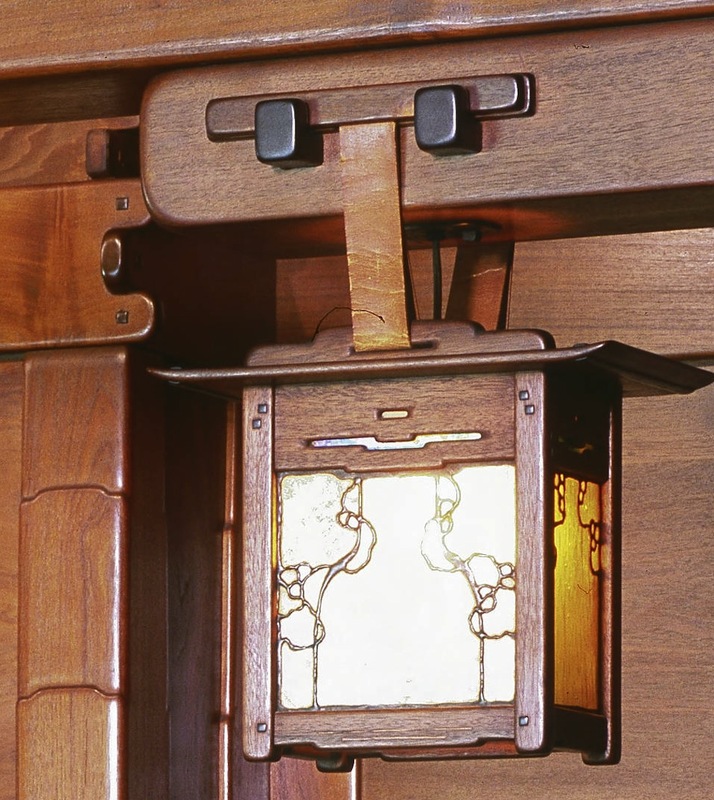 The original has what appears to be all the same kind of glass in the design, so the design is really governed by the solder lines and not the different colors of glass. I’ve deviated slightly and substituted some green transparent textured glass for the “berries” in the design, and I’m using what is claimed to be amber iridized glass for the rest. It’s definitely iridized (which is the mataliz coating that fives the surface a rainbow effect) but it’s nearly opaque and very white. I’ll foil the glass and solder up the front panel tomorrow and see how it looks. If it’s not right I’ll have to order some different glass. You can’t really see the effect since the glass is mostly the same color. Here is an original sconce for comparison. The glass if pretty opaque on the original too. 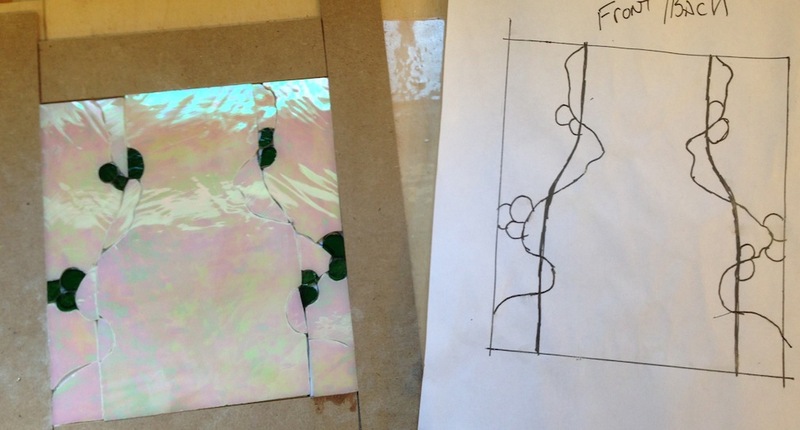 Maybe it will work out OK, I’m eager to get it soldered and see the finished effect. One more view of my front glass. You can see the individual pieces if you look closely. I noticed a couple of spots in the lower part where the “vines” don’t smoothly transition across the vertical motif, I’ll have to tune that up tomorrow.